And I am the dew in the fields, casting rainbows in dawn light. I am genderfluid. My gender is fluid. Fluid is my gender. Would that my body could conform to my soul. 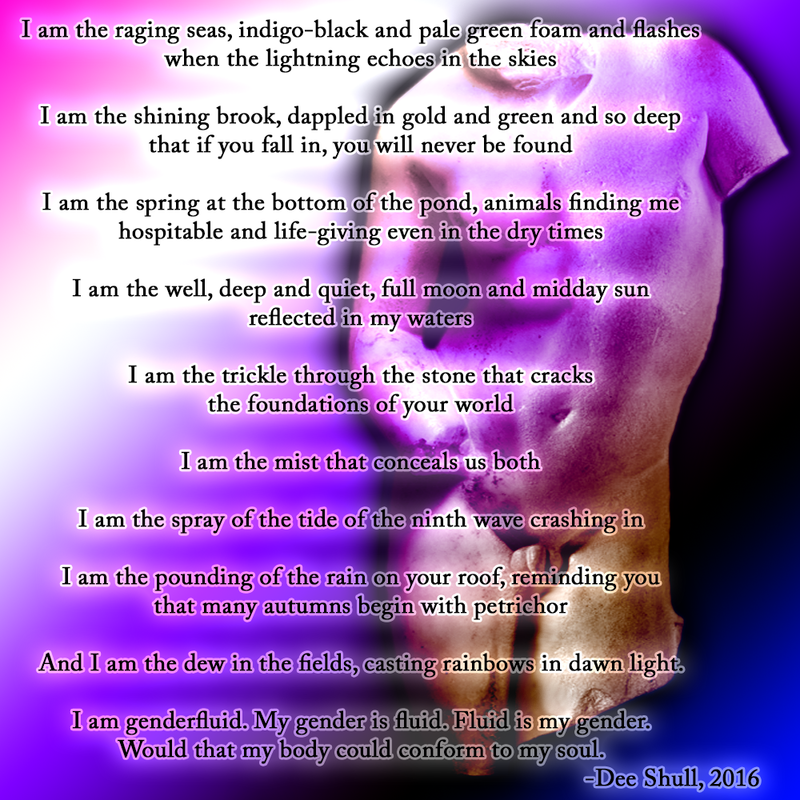 This entry was posted in Community, Crafts, Personal, Poetry, Politics, ST4R and tagged Art, Dee Shull, Emotion, gender, gender fluid, genderfluid, Look What I Found!, National Coming Out Day, non-binary gender, Poetry, Self Work. Bookmark the permalink.